Since its inception 75 years ago, Lovers Lane UMC has been an incubator of forward-thinking and positive change. From the historic Singles Ministry to life-changing Prison, Deaf, and Recovery ministries to embracing our new neighbors with Heart of Africa & Zimbabwe Fellowship, we have lived out our mission of Loving ALL People Into Relationship with Jesus Christ. In today’s diverse culture, it’s crucial for us to be united and not untied by inclusively showing His love to others regardless of gender, race, status, disabilities or sexual orientation. Since the One (Jesus) is perpetually for us, through Him, we can find unity, joy and direction despite our differences by banding together as ONE to help the world know the ONE. To celebrate our 75th anniversary, we invited back two staff veterans whose paths have been shaped and forever altered by their experiences at Lovers Lane. 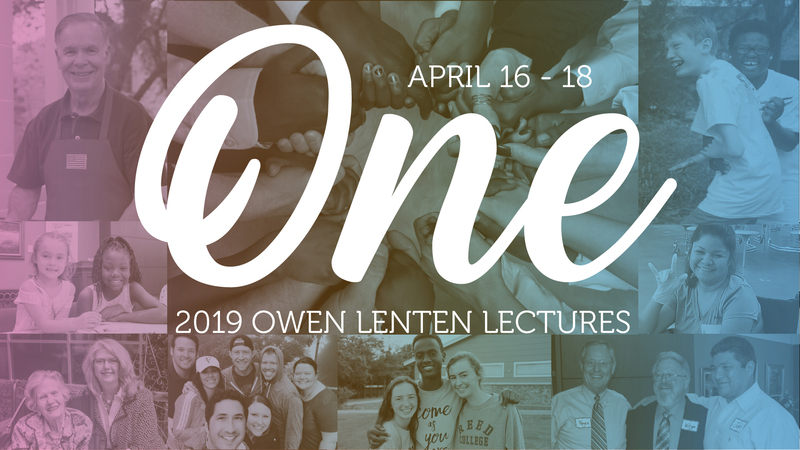 Hear their personal journies and join our Lovers Lane family this Holy Week for a time of reconnection and inspiration. Good Friday Concert: The Sanctuary Choir presents music by fourteen composers including Caccini, Bach, Handel, Haydn, Mozart, Mendelssohn, Faure, Rachmaninoff, and several modern composers, illuminating the Scriptural Way of the Cross. 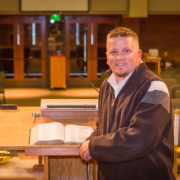 Micah Nicolaus is the senior pastor of Broad Street United Methodist Church in Cleveland, Tennessee. Micah is the son of a Lutheran pastor. He was born in Canada and lived in Wisconsin, Montana, Nebraska, Texas and Tennessee. He and his wife Kim have been married 21 years and have two sons, Andrew, 10, and Thomas, 8. They spend a lot of time playing sports, riding bikes and watching the Green Bay Packers. Micah is a graduate of Asbury Theological Seminary, in Kentucky. He served as co-youth director along with his wife Kim for six years at Lovers Lane United Methodist Church. It was a “Golden Age” of ministry which saw the construction of a family life center, the launch of deaf ministries, the renovation of the worship center, the birth of contemporary worship at LLUMC, and the beginning of the Heart of Africa Fellowship. Micah has served appointments in the Holston Annual Conference at Cokesbury United Methodist Church in Knoxville, Lighthouse United Methodist Church in Ooltewah, and Central United Methodist Church in Lenoir City. Micah currently serves on the Board of Ordained Ministry and the Conference Strategy Team in the Holston Conference. He believes the story of God’s love through Jesus is the greatest hope for the world, and he is blessed to serve with the people of the United Methodist Church. Joan arrived at Lovers Lane at a difficult time, as the church was grieving the tragic passing of Tom Shipp. Holding a B.A. in journalism from Howard Payne University and a M.A. in journalism from Louisiana State University, she served as Communications Director and Associate Pastor for eight years. Thanks to the love and support of the church and Don Benton, she fulfilled a calling into ministry that she had never before envisioned. Joan returned to Perkins School of Theology at SMU, receiving her Masters of Theology and Doctorate of Ministry. 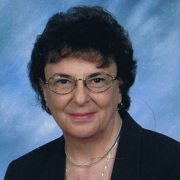 Joan is married to William E. La Barr, elder in the NTC and pastor of Plymouth Park UMC, Irving. Children: Cheramie Gray Jordan, educator in Daphne, Alabama (suburb of Mobile), graduate of Texas A&M and married to another Aggie, Jeff, an architect; Damien Gray, who works in restaurant management in the Austin area and is married to Megan; stepson, Aaron and wife Kristen, who live in the Metroplex; and seven grandchildren. Childcare provided April 16 – 18 with reservation by April 12. Please click the button below and include your child’s name(s), age(s) and the dates for which you’ll need care.